From the old swimming hole of long ago to the modern, well-equipped pools of today, people have enjoyed swimming for fun, relaxation and exercise. These days more and more families are buying their own swimming pools in order to bring a water wonderland to their own backyards. A home swimming pool can bring years of enjoyment; an in-ground pool can represent a permanent improvement to your property. But plan carefully before you build a swimming pool. The purpose of this information is to provide basic information about swimming pools and guidelines to help you with the important decisions you'll be making when you decide to buy a pool of your own. 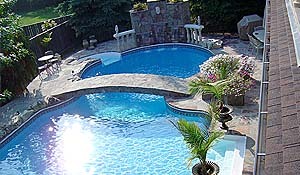 Before buying, prospective pool owners should consider these questions: Why do you want a pool? What is it for? What are you going to do with it when it is built? The reasons for wanting a pool can be many: personal recreation, family recreation, exercise, physical therapy, entertaining, water safety instructions, etc. Once you have decided the "why", then you can decide what kind of pool you want. There are two basic types of swimming pools: aboveground pools and in-ground. 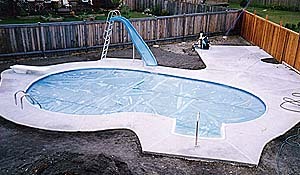 In general, aboveground pools are less expensive to install because of the materials and construction methods involved. Usually a special heavy-duty vinyl lining is laid over a supporting structure built of steel, aluminum, wood or other material. 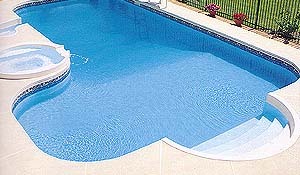 There is a wide range of pool sizes and there are even models available in kit form that the homeowner can build. Some aboveground pools can be taken down and stored or moved to new locations. Maintenance is relatively simple and small cuts or tears in the vinyl can be repaired with inexpensive patching materials. 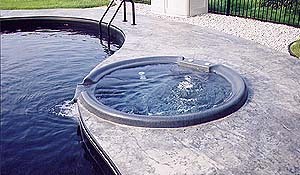 Aboveground pools usually are available in round, oval or rectangular shapes. In many communities aboveground pools are not taxed as property improvements. 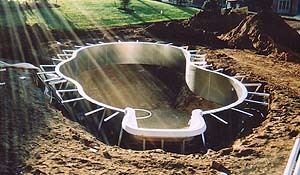 In-ground swimming pools can be built using vinyl liners reinforced below ground by supporting framework. 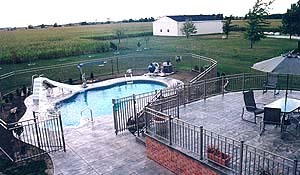 Other in-ground pools are constructed either of fiberglass, poured concrete, or concrete called gunite that is sprayed over a basket framework of steel reinforcing rods and wire mesh. A white plaster compound is then applied over the concrete or gunite for a smooth surface and can be painted. 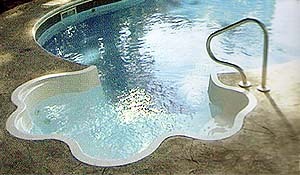 Depending upon the space available, in-ground pools can take a variety of sizes and shapes: round, oval, kidney, free-form, etc. However, because of the installation costs for excavation, supplies and labor, in-ground pools are more expensive to build than aboveground pools. 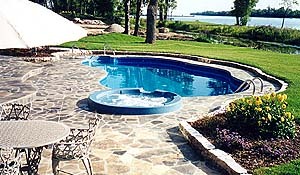 Unlike aboveground pools, in-ground pools usually are taxable as property improvements. 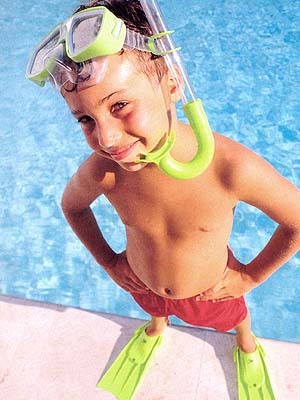 Swimming pools require basic equipment over and above the pool. A filter system to insure clean water, steps or ladders, and skimmers for surface cleaning are considered essential. 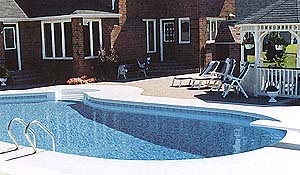 Many pool owners install heating equipment and poolside decking of concrete or wood. 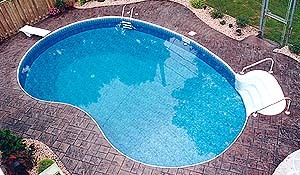 Pool covers are often used to keep water clean and retain heat when the pool is not in use. If used properly, these covers can be a wise investment. A wide range of accessories is available for pools including pool and outdoor lights, diving boards, slides and handrails for steps. 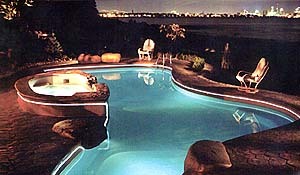 While some accessories, such as outdoor lights, can be added after construction, it is more economical to have fixed pool equipment installed at the time of construction. Keep in mind that local laws usually require security fences. A self-closing gate with a latch accessible only to older children and adults is a wise safety precaution. For filter and heating equipment most pool owners decide on some kind of housing structure to protect the machinery from weather. In some climates, pool builders may recommend screening in the pool area to keep out summer insects such as mosquitoes and flies. And you may want to consider landscaping the pool area both for wind protection and privacy as well as appearance. Before building, pool buyers should talk to their insurance agent to find out about additional homeowner coverage for the new pool. Information about possible property tax assessments increases also should be obtained from local taxing authorities so you will know what to expect when property taxes fall due. Some swimming pools are considered a good property investment by many banks, and prospective buyers would do well to ask about financing arrangements. Many pool builders offer financing but it is wise to shop carefully because interest rates can vary. Regardless of the pool requirements of your own family, keep in mind that you may one day want to sell your property, and a swimming pool suitable for all ages can be a favorable selling factor. 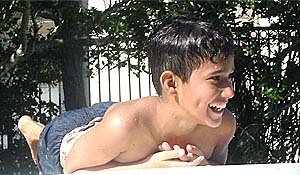 Remember that very young children and many older persons are not able to use ladders to enter and leave a pool. Walkout steps in the shallow end are helpful. Many prospective pool owners turn to neighbors and friends who have swimming pools for information and recommendations about pool companies and builders. You should, of course, talk with more than one builder and compare estimates. Go inspect and compare swimming pools that the builder installed. And ask for references - old and new. You may want to contact homebuilders or architects for references to pool companies. You want to be sure, too, that your builder is properly licensed (if licensing in your area is required) and can make any necessary site and soil evaluations of your property. The builder also should know about existing zoning, building and grading requirements. Be sure to ask the builder about any liability and compensation insurance he may carry to protect you in the event of an accident during construction of the pool. You have the right to ask who their insurance company is and to call them for a current certificate of insurance for the company. Before you make a final decision, check with the Better Business Bureau to learn of the reliability of the builders you are considering. You may also want to ask if they belong to any local or national pool associations, such as the National Spa & Pool Institute. In warm climates, any time is good to build a pool. In colder climates it might be better to order your pool in late summer; the weather is best for construction and contractors are less busy. You'll then have a pool ready for the first warm day in the next spring. A sales person who tells you the advertised pool they offer "on sale" is not worth having and then tries to switch you to a more expensive model. A sales person who uses the ploy of offering a reduced price on the basis your pool to be used as a model. A sales person who pressures you into signing a contract. Remember: no reputable builder and no authorized representative of a reputable builder will rush you into signing any agreement or contract at any time. From your first planning meeting until your pool is completed there will be day-to-day decisions to make. When any questions arise be sure to discuss them with your contractor. Local building regulations should be thoroughly reviewed and understood in advance. Utility lines (water and electric) may have to be installed or changed, and hook-up charges should be known before the start of construction. Discuss any necessary or possible removal of shrubs or trees to allow equipment and supplies to be brought to the site and any possible damage to driveways, walkways or lawns because of heavy equipment or supply storage. Your discussions should be frank and a clear understanding reached before work begins so that you know what repairs will be made and who will pay for them. Finally, take time to be sure about all construction details as well as the size, shape and materials you want for your pool. Once work begins, changes could mean increased costs to you. The contract you sign with your builder can be the most important step in building a swimming pool. It should provide specific information about the pool you are going to have built. The National Swimming Pool Institute points out that every item of expense for materials and labor, including optional equipment, should be covered in the contract. You should have, in writing; the date the work will start and when work is to be completed, as well as the total cost and the financing arrangements. Make certain that all promises and representations made to you orally are included IN WRITING in your contract. The contract must meet NYS regulations, which requires deposits to be placed in an escrow account, cancellation clause, complete name, address and phone number of the contractor, along with other items that protect the rights of the consumer. By working with a reliable contractor, you will know the terms and conditions of all warranties, like who is responsible in the event repairs or replacements are needed, who will do the work and who will pay for it. 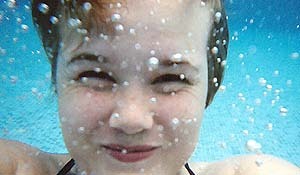 There are several ways to help keep pool-heating costs to a minimum while enjoying a comfortable water temperature. First, locate your pool in the sunniest part of the available property and, when possible, use existing structures such as a house or garage to help screen wind. A solidly built fence for the pool area will help shut off cooling winds, and a pool cover can help retain water temperature. Remember that over-hanging tree limbs can mean leaves and twigs in the pool, and grass planted too close to the pool can mean cuttings in the water. Keeping the pool clear of such debris can avoid filter clogs or damage and mean efficient use of the filtering system and less use of pool chemicals. 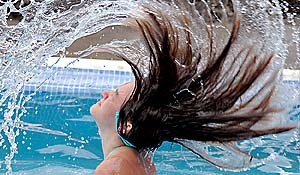 You may want to look into solar heating units for your pool. Various types are available and your builder should have information about them. A solar unit, used in conjunction with a back-up heating system, can save on operational costs. Keep in mind, however, that because of the initial cost of the solar unit, this savings may not be realized for several years, depending on the climate and geographic location of the pool. Pool decks should be constructed or treated with slip--resistant materials and made "off limits" for running and children's tag games. 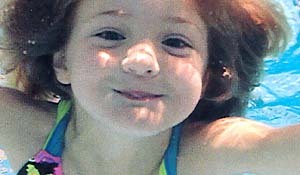 Children should be supervised in the pool area and in the water at all times. Pool lifesaving equipment and a first aid kit should be kept at the pool. Glass and other materials that can break or shatter should not be permitted in or around the pool. Water depths should be clearly marked. Handrails on ladders should be installed. 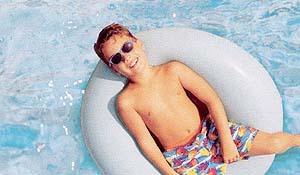 Ask your builder for pool safety information and be sure to read it. Your builder should supply you with a booklet that tells you how to keep pool water clean, how to use pool-cleaning equipment and how to maintain the filter and heating equipment as well as the pool surfaces. If a problem arises, call a pool service specialist. Ask the following questions if you're not familiar with the company: how long in business, check on insurance coverage, what is the service charge - does it include travel time, what is their warranty and what type of training or certification do employees have. Many builders have their own service staff; other companies specialize in service. They can advise you how to correct problems and maintain your pool with minimum effort. 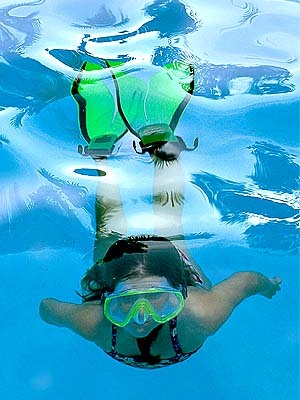 A swimming pool is a big investment but one that is hard to equal for enjoyment year after year. Your Better Business Bureau reminds every prospective pool owner to take the time before you invest and you'll enjoy your swimming pool to the fullest for years to come.